This turned out lovely. Sweet image. Very nice composition. Textured/colored background really makes the image. This is a great looking result, I like what you have done with your new tool. This image reminds me of Rocio who seems to have disappeared after the forum crashed. I miss her wonderful images. Hope she's ok.
Michael, I thought the same thing. 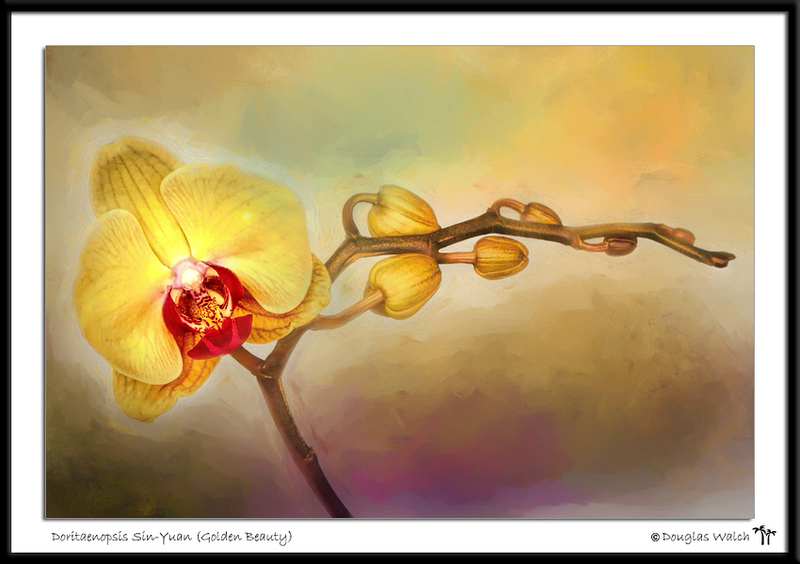 She had a wonderful collection of orchids and the artistic talent to display them. Great job on both the orchid and background!